Stars do not live forever. All the time new ones are born and old ones die. Both of these processes are pretty spectacular phenomena. The formation of new stars occurs in processes that we earlier only had models for but no direct observations. 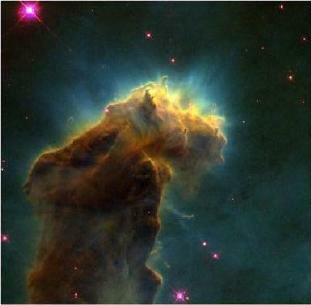 However, after the launch of the "Hubble Space Telescope", we have pictures of what is thought to be star formation. The process of star formation is not completely understood today. Astronomers believe that it mainly occurs in gas clouds with relatively high density in the spiral arms of galaxies. The mechanism one thinks is responsible for starting the formation of a star is that gas collapses into a plasma due to the gravitational force. This plasma can then attract more gas and if the density in the center is high enough nuclear reactions will start and thereby a star is born. 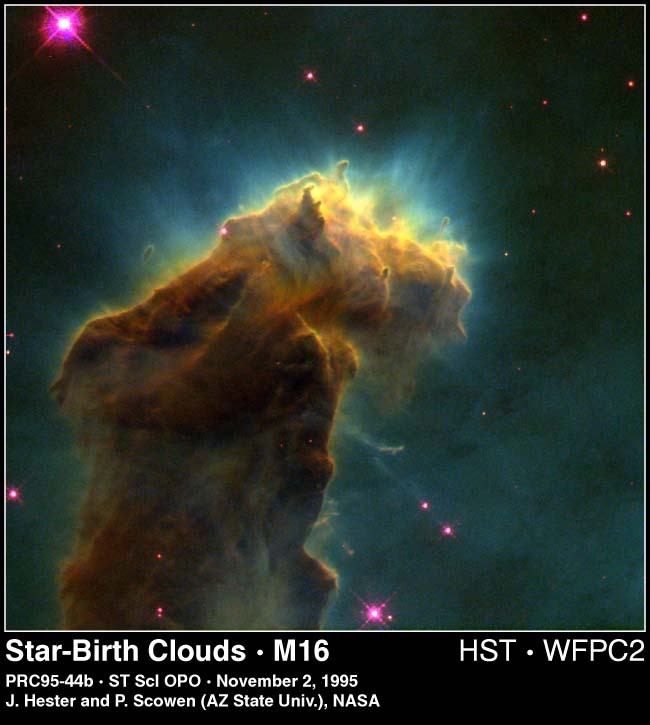 Picture of the gas cloud M16 from the "Hubble Space Telescope"
The life of a star then enters a rather quite phase. The lighter elements are burnt according to the solar cycle into heavier elements. However, these processes cannot continue forever since the fuel, that is the material that can undergo spontaneous fusion, will be used up. The star dies.